Travel to Boston with fellow art lovers and leave the arrangements to us. Our day begins at the Museum of Fine Arts, Boston, where travelers may enjoy the stellar permanent collection, or special exhibitions of Sandro Botticelli and Henri Matisse. Lunch at your choice of four award-winning MFA restaurants. Reservations recommended. After, hop on the bus for a short trip to the Isabella Stewart Gardner Museum. Enjoy the Gardner for the afternoon and grab a bite in their café before the ride home. 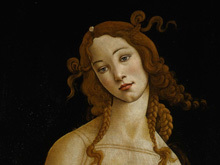 Botticelli exemplifies the artistic achievement of Renaissance Florence in the 15th century. Botticelli and the Search for the Divine explores the dramatic changes in the artist’s style and subject matter, reflecting the shifting political and religious climate of Florence during his lifetime. The exhibition, the largest and most important display of Botticelli’s works in the United States, features 24 paintings from international lenders and the MFA’s own Virgin and Child with Saint John the Baptist. Matisse in the Studio is the first major international exhibition to examine the importance of Matisse’s personal collection of objects. The exhibition at the MFA, the only US venue to offer it, provides unprecedented insight into the artist’s creativity by pairing rare major works by the artist with objects of his inspiration. The Isabella Stewart Gardner Museum displays an art collection of world importance. Isabella Stewart Gardner collected and carefully displayed a collection comprised of more than 2,500 objects from ancient Rome, Medieval Europe, Renaissance Italy, Asia, the Islamic world, and 19th-century France and America. Built to evoke a 15th-century Venetian palace, the Museum provides an atmospheric setting for Gardner’s inventive creation. Advance reservations are required by May 6. Contact Carlene Bermann at 860.536.7601 x213. Bus departs from and returns to the parking lot of Mystic Museum of Art.